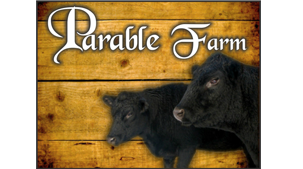 Red Wine Braised Short Ribs | Parable Farm, Inc. Try browning the meat at the end with this one. Brown your onions in some butter, coconut oil, or lard, and add the gralic. When you smell the garlic, add the meat and liquids, and bring to a slow simmer, adding a few bay leaves. Simmer loosely closed for almost 3 hours. Remove the ribs, and place them on a baking tray, and set your oven to broil, or fire up the grill. Reduce the sauce, adding salt, pepper, and herbs in the last 15 minutes. Here's where the flavor comes in: spoon reduced sauce over the meat until covered. Broil the sauce-covered meat for 5 minutes, or until the meat has browned. Don't burn the sauce! Serve hot with some rutabagas or turnips.